Join Digital Enterprise Greenwich and The Digital Accelerator Programme for a one day workshop on “Business Growth Planning” which will examine ways to increase your company’s growth. The fundamentals of business planning, understand your businesses value proposition, how to communicate that to existing and potential customers and identify ways to define your solution to meet customer needs will be explored. Participants will use tools to explore vision/mission and exploit agile project and rapid prototyping methodologies to set goals and validate business assumptions. The workshop will also examine the fundamentals of your businesses finance and business model fundamentals such as cash flow negative and positives, structural overtrading, lifecycles and how these can affect your businesses growth. Exit and growth strategies and how to source and access funding will also be covered. 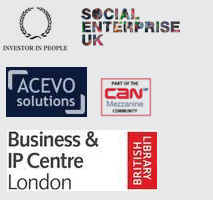 This is an ERDF part funded event for eligible London based digital small and medium businesses. If you wish to receive further information about forthcoming events please contact Pauline Lavin on 0208 9212927. To book click this eventbrite link. Published: June 6, 2014. Categories: Events.